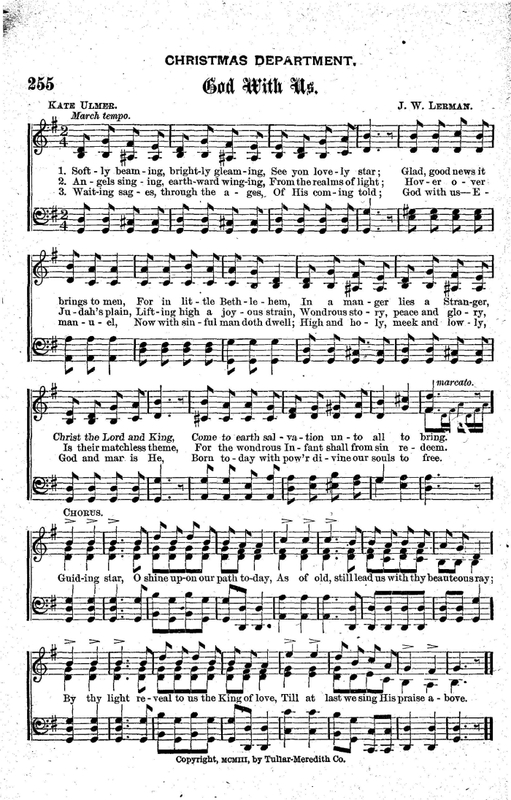 Source: I. H. Meredith, Grant Colfax Tullar and J. W. Lerman eds., Sunday School Hymns No. 1. New York: Tullar-Meredith Co., 1903, # 255. Come to earth salvation unto all to bring. Till at least we sing His praise above. For the wondrous Infant shall from sin redeem. Chorus. Born today with pow'r divine our souls to free. Chorus.